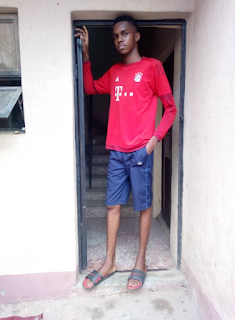 A teenager from Imo state ofNigeria, is becoming increasingly popular due to his unusual height. At age 15, Fortune Ibe measures 6 feet and 9.5 inches. He is believed to be the highest of 15 years in Nigeria. He reportedly stated that he grows an average of 5 inches each year and added that he would love to play for the NBA (National Basketball Association). 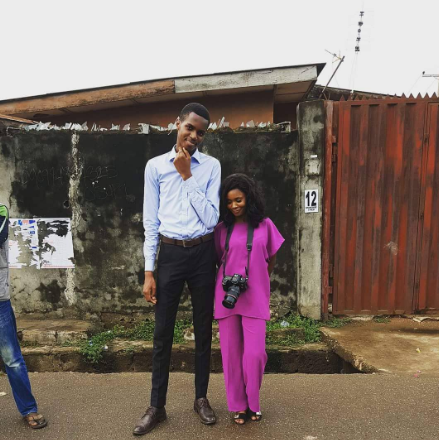 At the moment, he is a student of mass communication at Covenant University, who graduated from high school at a very young age. He says that his height makes people assume he is much older than he really is. "Wherever I go, people do not believe my age at all, it always causes me unnecessary attention, I'm proud of my stature," he said. He added: "We are all extremely tall in my family, my mother is 6 feet 1 inch, my dad is 6 feet 5 inches."